Frontal crashes are responsible for more deaths and serious injuries than any other accident type. A typical scenario is a head-on collision between two oncoming cars at moderately high speeds. In most collisions of this type, only a part of the vehicle front width structure is involved, i.e. the two colliding vehicles are offset. FRONTAL IMPACTS ARE RESPONSIBLE FOR MORE DEATHS AND SERIOUS INJURIES THAN ANY OTHER ACCIDENT TYPE. 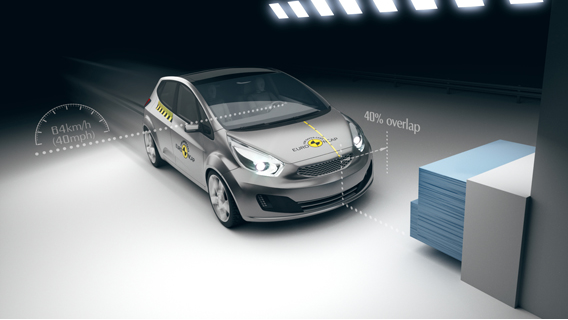 In the full-scale test, the car is driven at 64km/h and with 40 percent overlap into a deformable barrier which represents the oncoming vehicle. 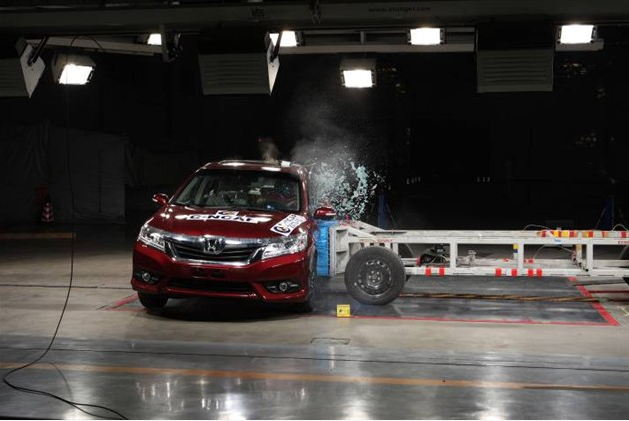 The test replicates a crash between two cars of the same weight, both travelling at a speed of 50km/h. Two frontal impact dummies representing the average male are seated in the front and child dummies are placed in child restraints in the rear seats. In this crash, the vehicle structure is put to the test. Limited structural engagement may expose occupants to increased intrusions. Crash forces have to be efficiently directed to parts of the car where the energy can be efficiently and safely absorbed. 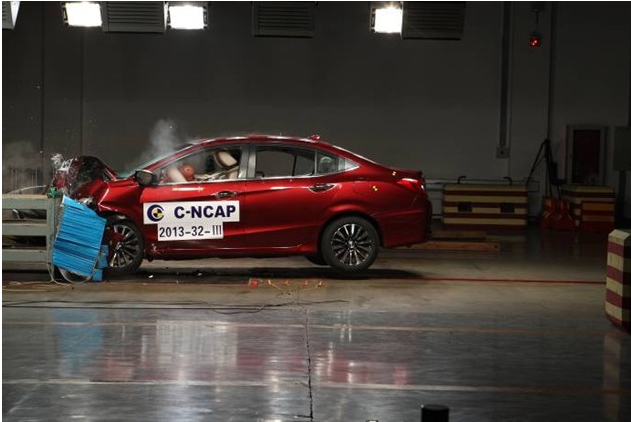 The front crumple zone must collapse in a controlled way, leaving the passenger compartment as undeformed as possible. Rearward movement of the steering wheel and the pedals must be limited if serious injuries are to be avoided.